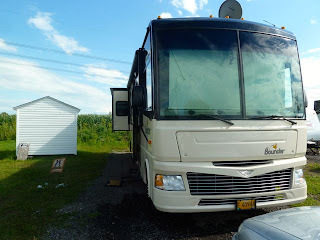 We arrived at Camping Amerique Montreal yesterday. We chose this campground for price and location. With electric 30amp and water, the price with Good Sam Discount is $207 for 9 nights. 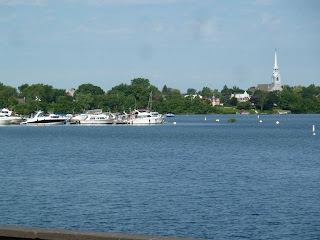 This seems to be a campground for seasonal summer campers. 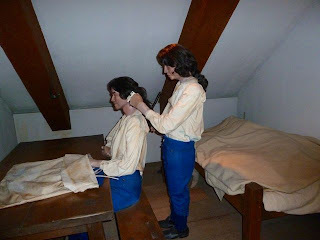 Internet is great for a small charge. 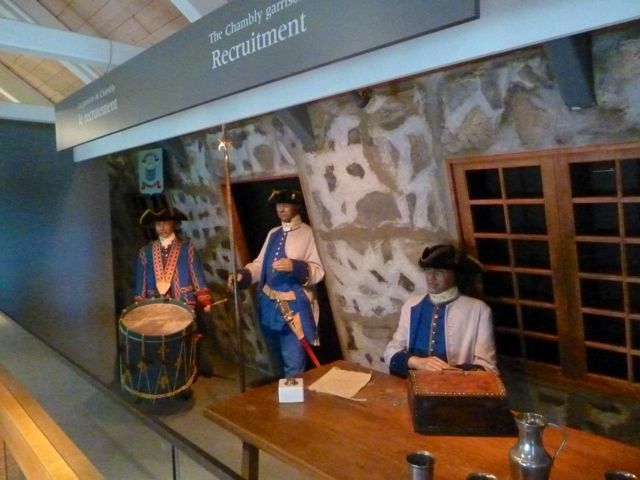 Michel is most helpful and friendly and there is a food kiosk by the office. 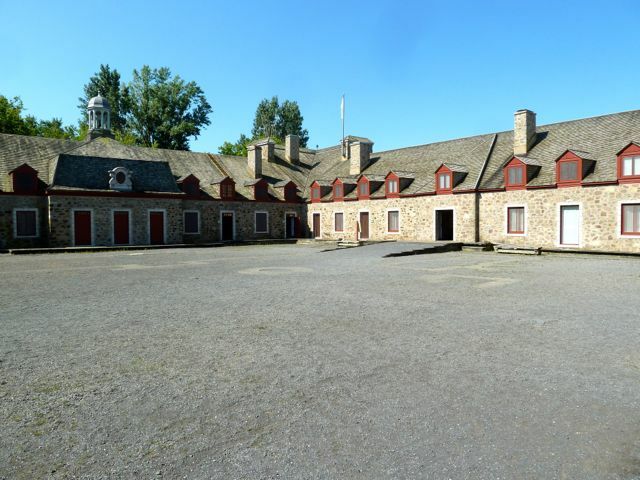 Would definitely stay again if in the area. Our site is 701 and we have a cornfield behind. 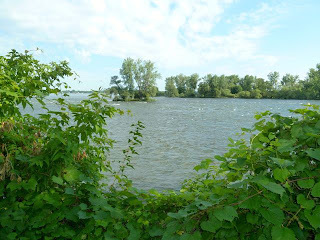 Costco and IGA just down Hwy 15. 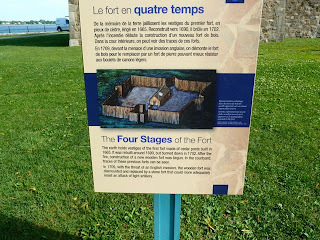 There are 4 fort locations near the campground and I will only write about 2 of them even thought we visited 4 sites. 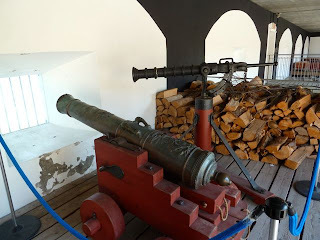 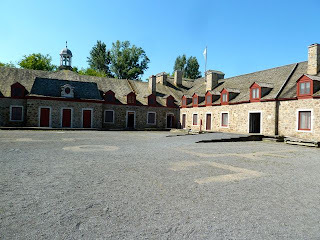 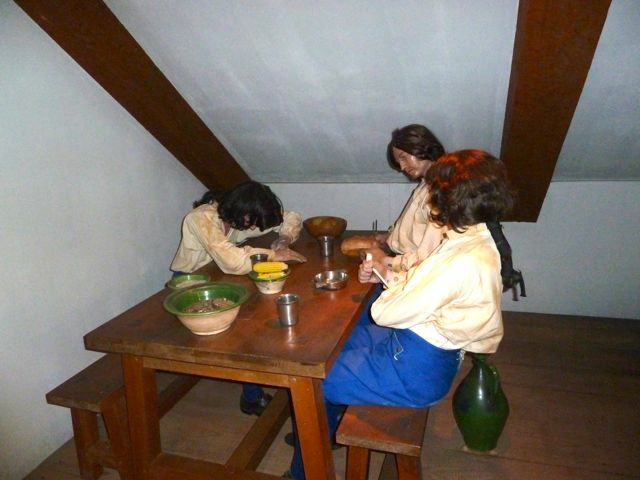 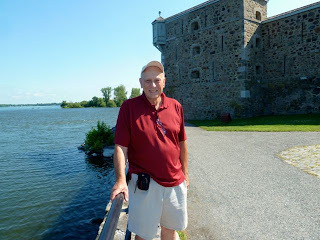 This posting will be about Fort Chambly in the town of Chambly on River Richelieu. The town of Chambly is most scenic and could spend a day just walking the quaint streets. 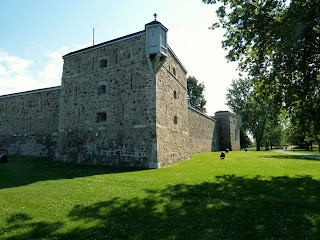 Fort Chambly was one of five forts built along the River Richelieu to protect settlers from the Iroquois by the French. 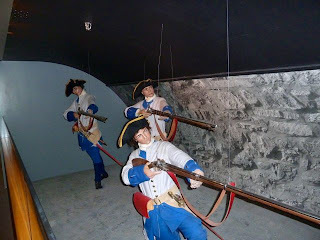 They had nearly 100 years of prescence until 1760 when they surrendered to the British. 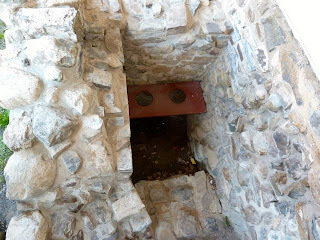 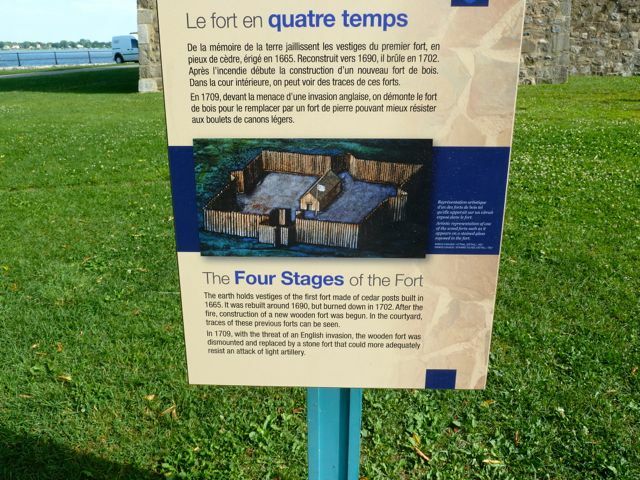 The original fort constructed in 1665 was wood and known as Fort St Louis. 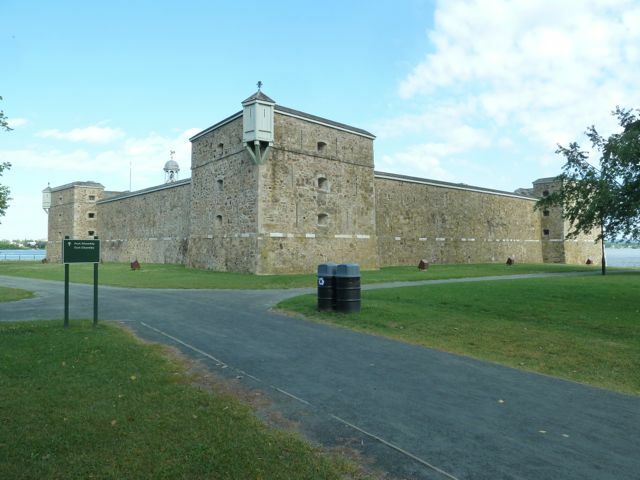 At the turn of the 18th century under threat of British invasion, construction began on a stone fort in 1709. In 1775 and 1776 during the American Revolution rebel forces invaded Canada and occupied Chambly for several months. During their retreat they set fire to the fort In 1776 the British began the rebuild. 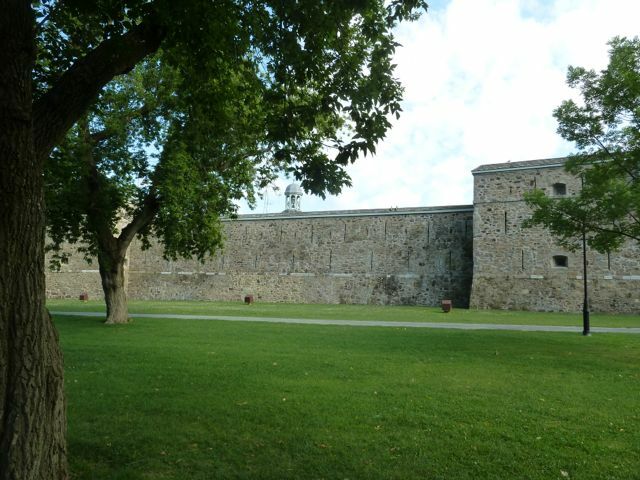 In 1812 the British build a large military complex near the fort;however, only the fortress and blockhouse remain. 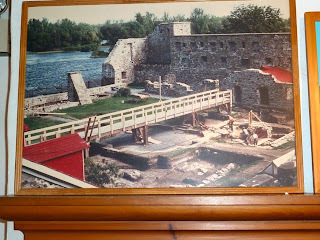 The fort today has undergone major renovation and archaeology explorations. On the grounds is a beautiful park. The museum gives a very thorough history with displays. The canal at the bottom allowed waste to be evacuated outside the fort. 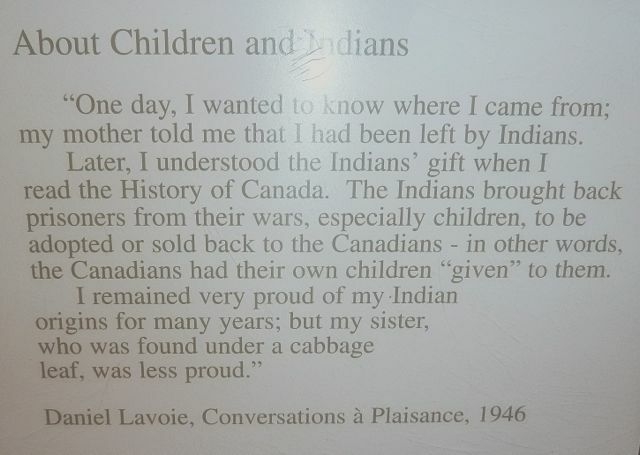 The Indians brought back the prisoners from the Iroquois war, especially children to be adopted or sold back to the Canadians. 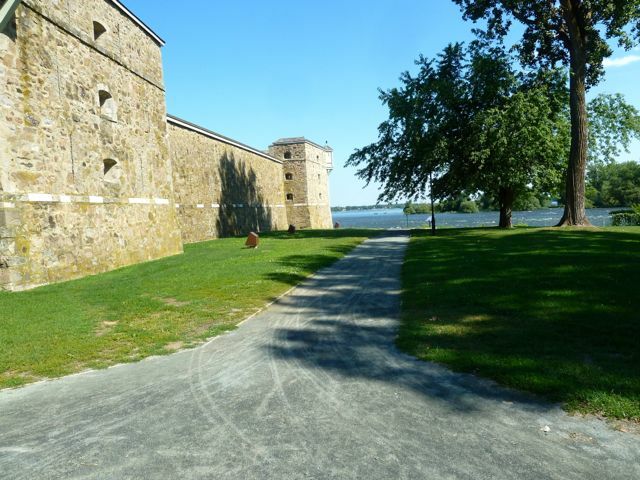 300 years later,the fort still stands in spite of numerous conflicts. 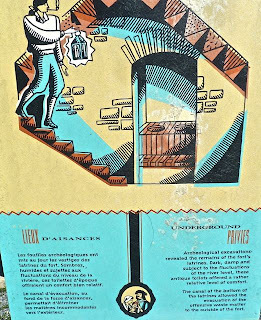 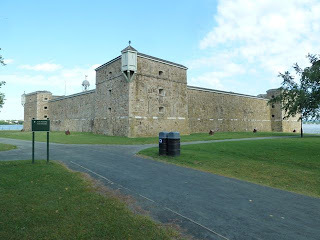 I recommend a tour of the fort if in the Montreal area.